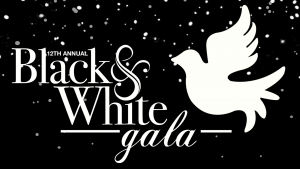 Please join Women’s Resources of Monroe County and the Community for the 12th Annual Black & White Gala at Kalahari Resort in Pocono Manor, PA. Dinner and Dancing to the sounds of Dreamtime – a 14 piece live party band! Fun and exciting Silent and Live auction items and NEW this year – Mystery Boxes of Hope! Just swipe your card, pick your box and win instantly what’s inside! More info to come. Dinner is a Duet of petite filet mignon with a pan seared sea bass. Vegetation option is a roasted cauliflower steak – Please indicate yes or no below if you would like the Vegetarian option. Thank you for your support! Check back for 2020 13th Annual Gala Date – Women’s Resources’ 40th Anniversary Year!